Earlier this week I co-hosted an amazing event for potential clients with our friends from Ritz-Carlton Hotels worldwide. During the event held at the Ritz-Carlton, Marina Del Rey, we had the chance to share with these clients all of the benefits of booking their Ritz-Carlton hotel stays through a Ritz-Carlton STARS-affiliated travel consultancy like Elite Travel International. As one of them said to me: "Why would I ever book a Ritz-Carlton directly now that I know breakfast and late check out are included everytime I book through you?" EXACTLY. In addition to receiving complimentary breakfast for two, a customized welcome amenity, a personal VIP welcome, a priority upgrade and late check-out on request, many of the Ritz-Carlton hotels offer timely promotions EXCLUSIVE to their STARS partners. NOTE: These opportunities will not be found online or through the hotels directly. 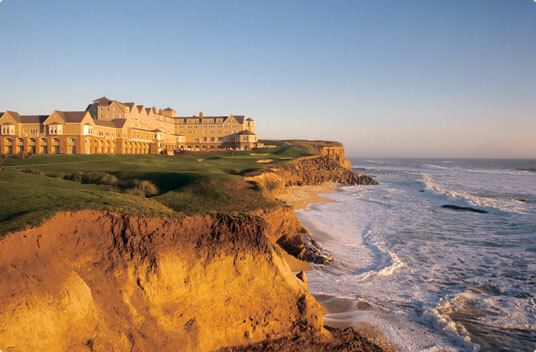 The Ritz-Carlton, Half Moon Bay (pictured): Complimentary overnight parking and confirmed upgrade valid through June 30, 2011. The Ritz-Carlton, Laguna Niguel: Book one Ambassadors of the Environment eco-adventure and the second is half-price. The Ritz-Carlton, Grand Cayman: Enjoy a one-category upgrade and a complimentary beach cabana on bookings now through June 27, 2011. The Ritz-Carlton, Jamaica: Book a garden or ocean view room and be upgraded to a garden or ocean view suite respectively through December 23. The Ritz-Carlton, Atlanta: Complimentary upgrade to a City View Guest Room at time of booking. Based on availability at time of booking and valid from May 1 through August 31. The Ritz-Carlton, Buckhead: Complimentary upgrade to a Premier Guest Room at time of booking. Based on availability May through Aug 31. The Ritz-Carlton, St. Thomas: Lady Lynsey sunset sail for 2 people valid through July 31st based on a 5-night booking. The Ritz-Carlton, Kapalua: Book Deluxe or a One-Bedroom Garden View Suite and receive an upgrade to Ocean View for travel August 15 – Dec 22, 2011. Bookings must be made by June 30, 2011. Now this sounds like the way to book. A prime case of "not what you know but who you know" Many people know how good The Ritz-Carlton hotels are but I bet everyone wishes they knew you before their stay when they read this. Thank you Elite Travel as luckily I have met you before I travel. Just like knowing The Margaret River Guide for traveling to this renowened region in Western Australia. The Ritz-Carlton is one of the wonderful place that was featured on my friends blog last year,so I was not that mesmerized coz I've seen a lot of his pics from that place. Jag kommer att se till att bokmärke det och komma tillbaka för att lära dig mer av din hjälpsamma info. Tack för inlägget. Jag kommer definitivt tillbaka.